Beautiful waterfront warehouse space, cozy and creative environment, great neighborhood with lots of food/drink options and amenities. Flexible month to month lease, 24/7 access. 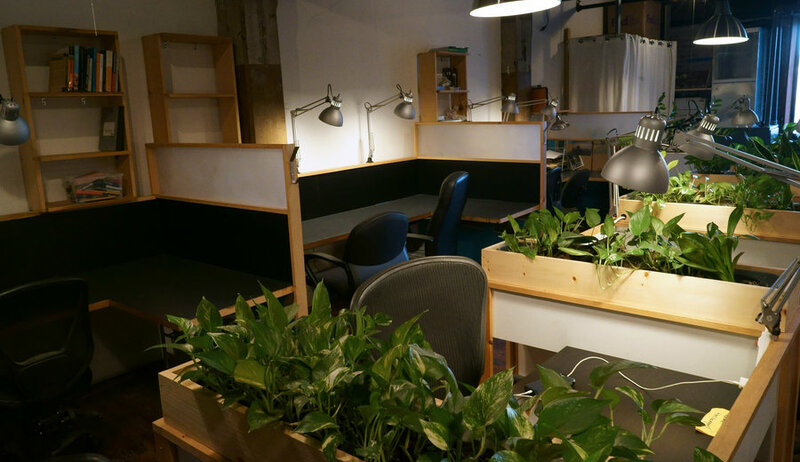 The skinny: We have a couple of desk options: large 8ft desks for $350/mo (*share spot available for $175*), and 3-4ft desks for $250/mo. This is a 1500 sq. ft shared office space in an old renovated factory building on the waterfront in Greenpoint, Brooklyn. Custom Design: space was designed and built by architect/artists. It's spacious, with a blend of old industrial and new design aesthetics. Original wood floors, exposed brick, old beams, and natural light. 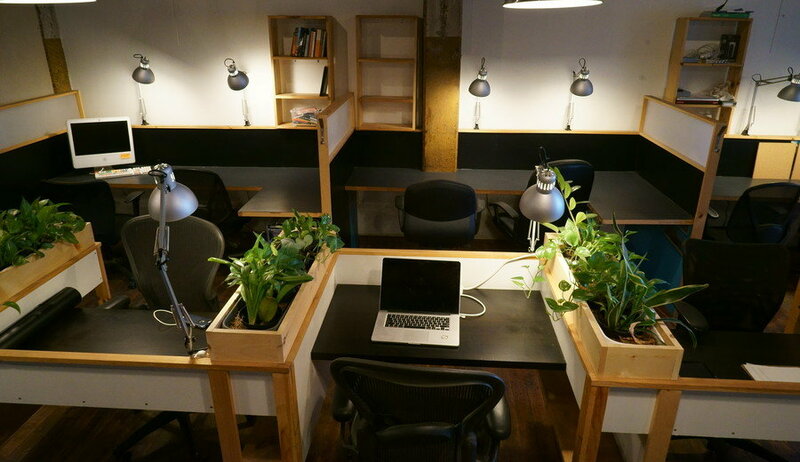 Desks have built-in shelving and are separated from neighboring desks by a divider that allows light through. 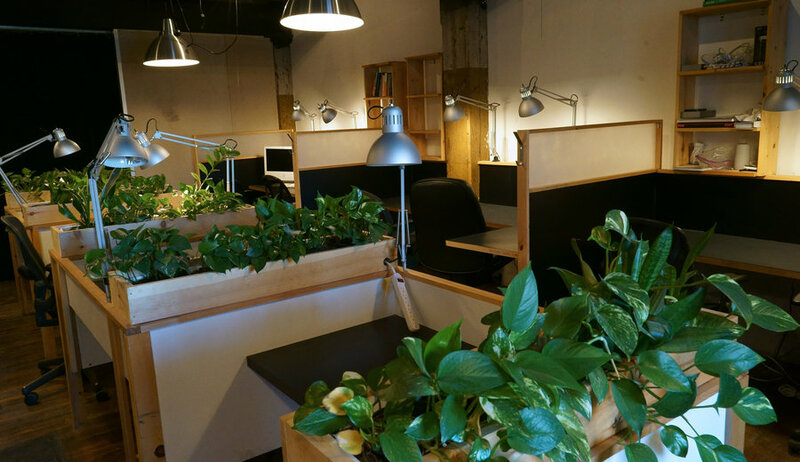 Not full-on cubicles, but separated enough to block sound and allow for a focused environment. 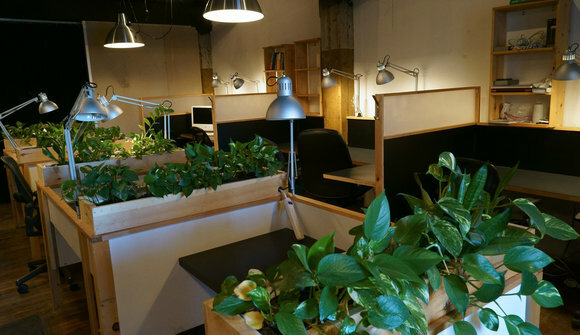 There are 10 total desks in the space. Location: Next to Greenpoint's hip Franklin St where you'll find cafes, bookstores, bars, restaurants and boutiques. Across from a playground, next door to Transmitter Park, Ovenly baked goods, Paulie Gee's wood-fired pizza. On the waterfront, a few blocks from the water taxi.